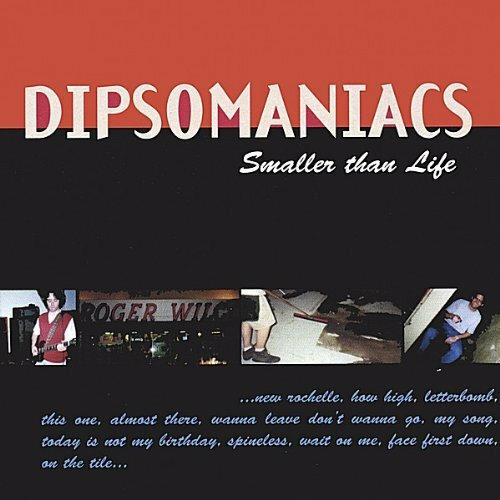 One of the earliest Dipsomaniacs releases (1996!) - now available digitally via Bandcamp. Limited number of physical CDs available to order. Highlights include "This One", "Today is Not My Birthday", and "New Rochelle". What lacked in production quality was made up for in plunky drive and a can-do attitude by all involved. Includes unlimited streaming of Smaller Than Life (1996) via the free Bandcamp app, plus high-quality download in MP3, FLAC and more.